I don’t hear, I don’t see is the action that is designed to help women from Ljubija – designed accessories for eyes and ears which will be displayed at the opening as well as for the entire duration of the exhibition. They will be displayed for sale. The money collected in this way will be donated to women in Ljubija. Handmade items made by women from Ljubija are a symbolic, sarcastic portrayal of the attitude of society toward small forgotten towns. “They” really do not see and do not hear, but on the other hand they do not want to. 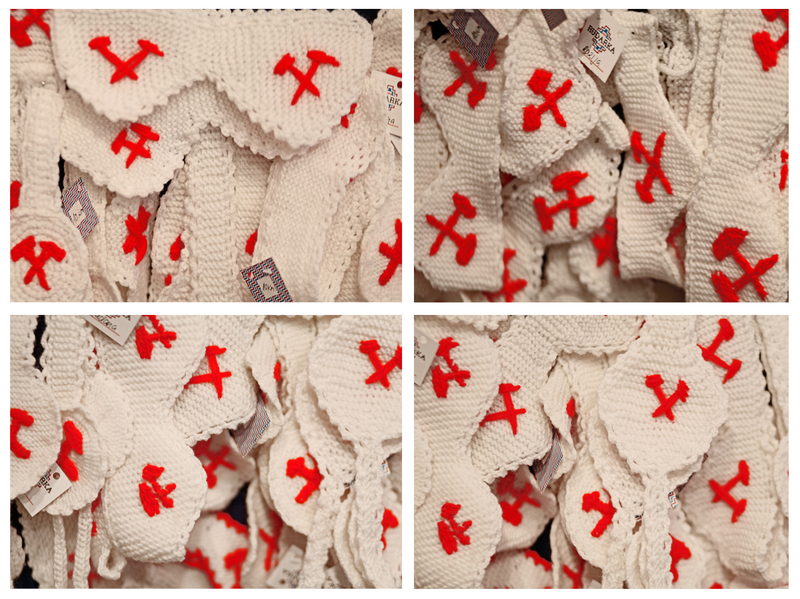 Each item will have a crocheted coat of arms of Ljubija, which is also the logo of the mine. 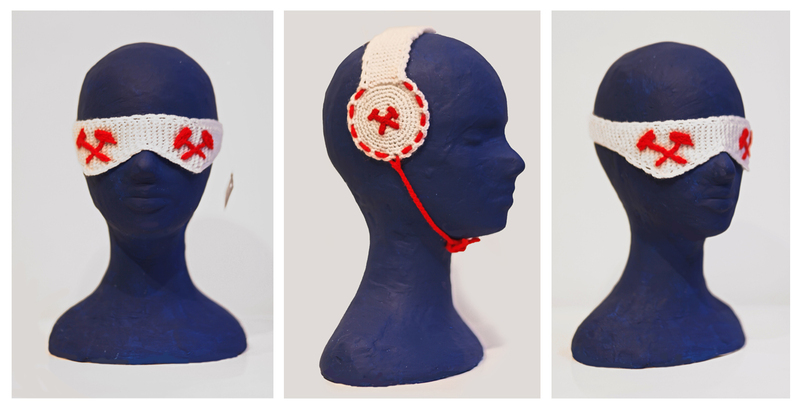 “I do not see and I do not hear” are crocheted wearable items for eyes and ears, both having a function to decorate, protect and hide.